PROVIDENCE, RI: Trinity Rep’s eighth annual play writing competition for New England High School students, Write Here! Write Now!, is now accepting entries. Students are asked to compose an original ten-minute play and submit it via the online application form. Winning plays will be performed at Trinity Rep during a free public reading. Submission guidelines, as well as additional resources for bringing play writing into the classroom with curriculum guides and a play writing class, are available in partnership with School One for teens. More information is at www.trinityrep.com/whwn. The submission deadline is March 19, 2019. Write Here! Write Now! is presented each year as part of the “Beyond Trinity Rep” Community Education movement at the organization. Creative writing, English, and theater teachers are asked by Trinity Rep’s education department to assign a ten-minute play as a part of their classroom curriculum. All completed plays are then submitted – free of charge – to the Write Here! Write Now! competition. Resources for teachers, including a study guide for bringing the Write Here! Write Now! curriculum into the classroom, are available on Trinity Rep’s website. Trinity Rep, in partnership with School One will also host a Playwriting Class for teens which teaches the process of writing a script for the stage and concludes with submission to the play competition. For more information, or to sign up for the class, visit www.trinityrep.com/whwn. Scripts are adjudicated through a blind evaluation process by Trinity Rep’s education, artistic, and literary staff. Each play that is submitted will receive feedback to enhance the play writing experience. Four winners are selected with at least one winner from a Providence, RI high school for a public performance of their script. 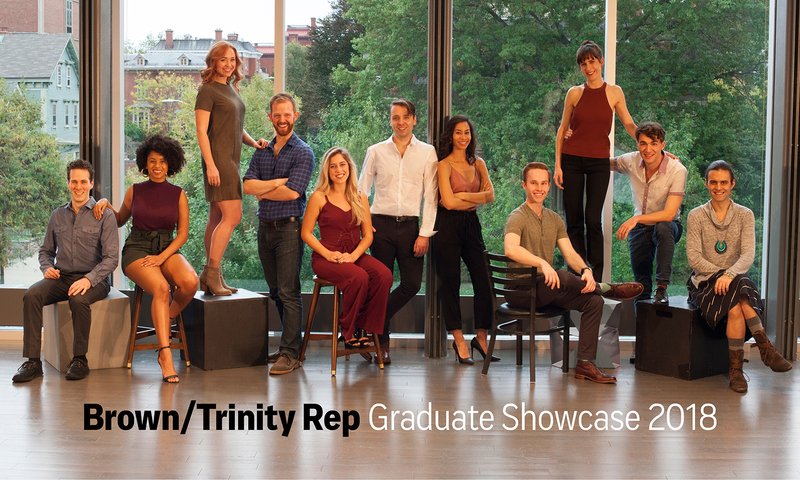 In addition to seeing their plays performed on Trinty Rep’s stage, winners also receive a scholarship towards any Trinity Rep Young Actors Studio after school class and 20 free tickets to a Project Discovery student matinee performance during the 2019-20 Season for their school. The 2018-19 Season includes Pride & Prejudice by Kate Hamill, black odyssey by Marcus Gardley, a special limited-engagement of An Iliad by Lisa Peterson and Denis O’Hare, Macbeth by William Shakespeare, The Song of Summer by Lauren Yee, Little Shop of Horrors with book and lyrics by Howard Ashman and music by Alan Menken, and José Rivera’s Marisol. For more information on our 2018-19 Season, call the box office at (401) 351-4242 or visit Trinity Rep’s website at www.TrinityRep.com.